Ok, I'm gonna do something that I don't normally do ... and that is to praise the awesome knit fabric selection that's slowly beginning to become available at my local fabric stores, particularly Spotlight. In recent years I have been so frustrated at the complete lack of anything other than plain colours, and the occasional stripe design. But over the last couple of seasons there have really been some beauties, and the best thing is they're not too expensive. Thumbs up to that! 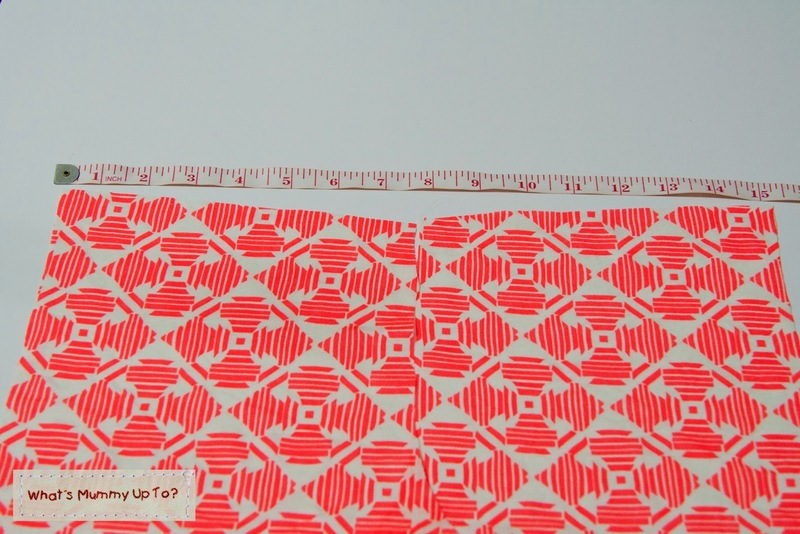 You see, here in Australia we often pay lots more than our northern hemisphere friends for fabrics because many designers are overseas, and the shipping down under just pushes the price through the roof. 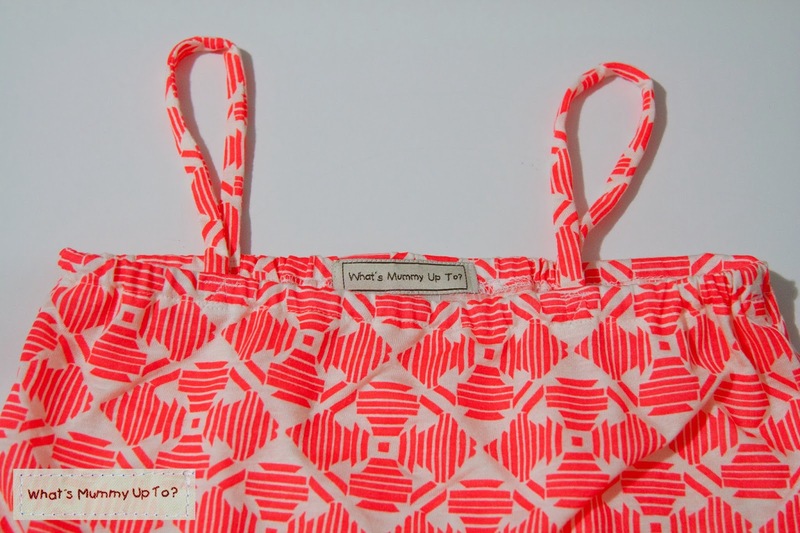 Many times it has made it hard for me to justify spending the kind of money required to order good knits from overseas for homemade clothing, when similar clothing items made with cute fabrics are available so cheaply in the stores. I mean, this homemade clothing thing is supposed to save money as well as keep Mummy sane, isn't it!?! 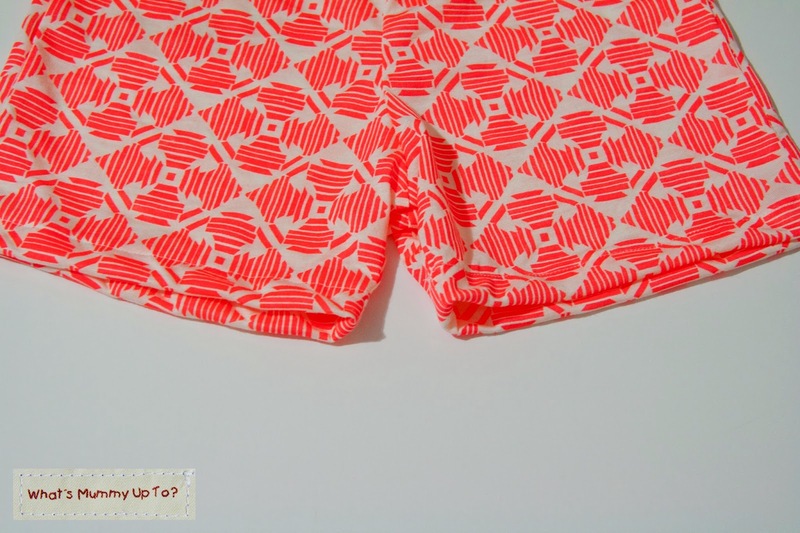 A shorts pattern (I used this one from Made which I have used a tonne since I bought it, but you could also draft your own pattern like I did here if you don't have a pattern on hand and want to do it cost-free). 1. 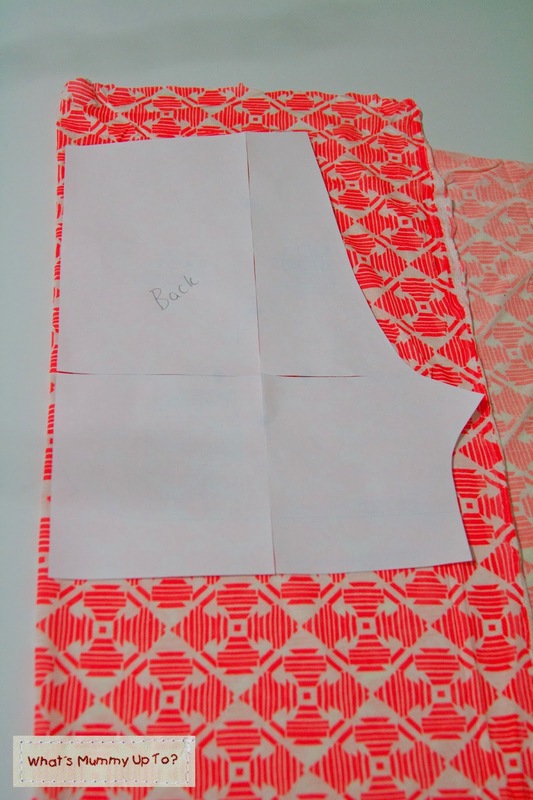 Prepare your pattern (or draft it yourself from a pair of shorts / pants that fit), and cut out your pattern pieces. You should have 2 back pieces and 2 front pieces. 2. Sew the 2 back pieces right-sides-together down the back seam (that's the top curve in the picture above). 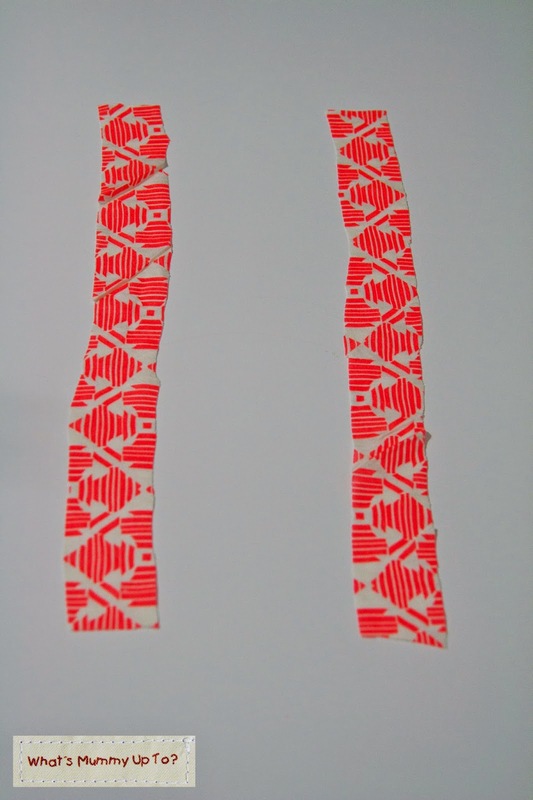 Then open the pieces out, and measure the width of the waist as per the picture below. Bethany's shorts measures 15 inches wide. 3. For the top section, measure your child from their armpit to their hip (Bethany's was 10") and add 3 inches (for Bethany this equated to 13"). 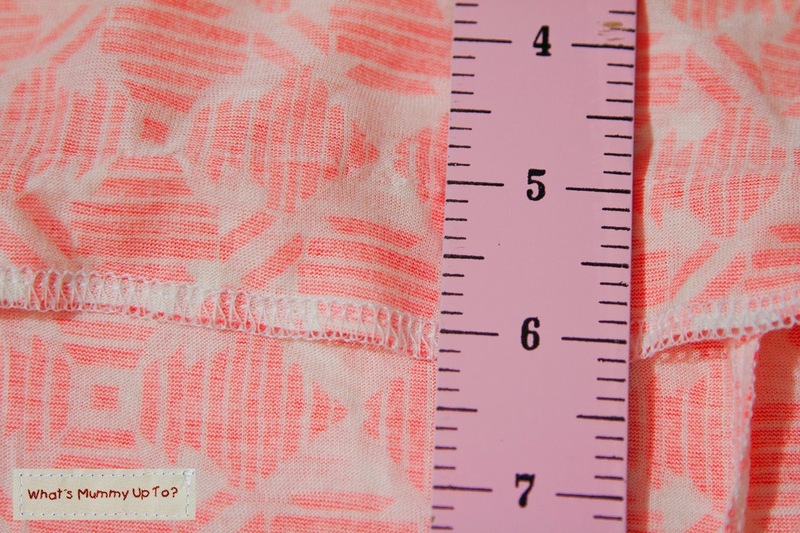 Now cut 2 rectangles which are the width of your shorts (ie 15" for Bethany) by the length measurement. Bethany's rectangles were 15" x 13". 4. Now continue to assemble your shorts. 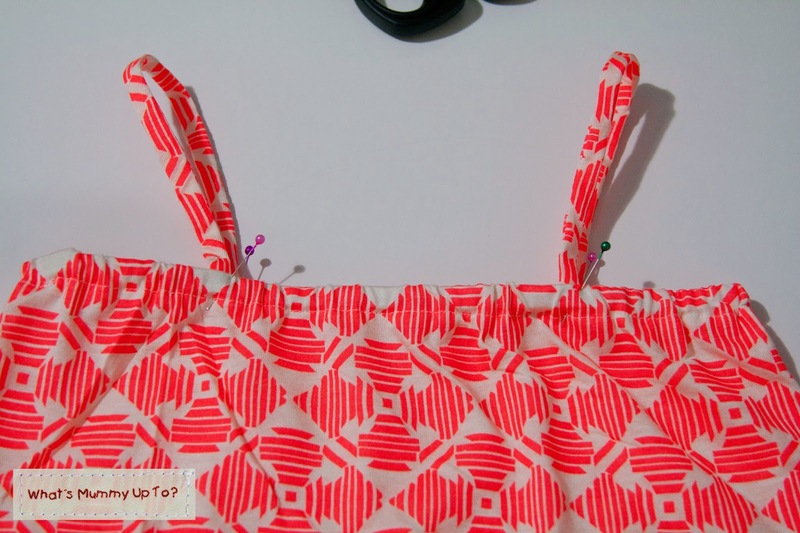 Sew the front pieces together at the front seam. 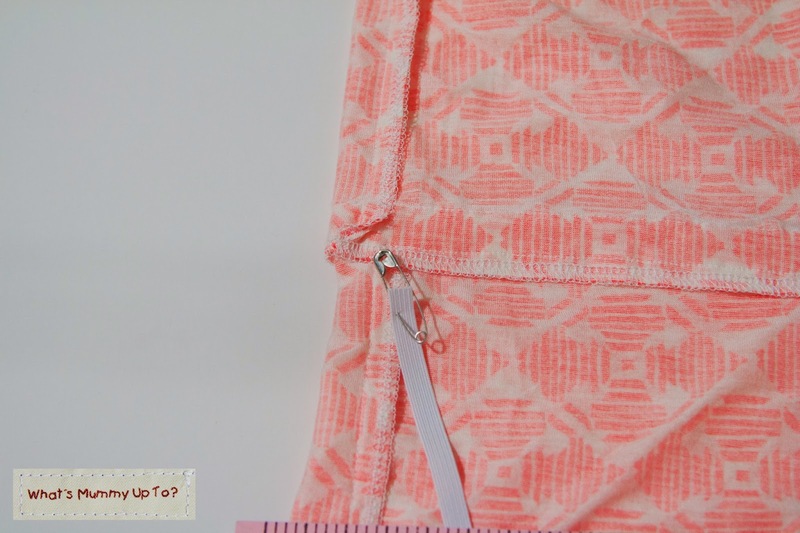 Place your front and back pieces right-sides-together and sew the side seams, and open out your shorts to line up the crotch seam, (pictured below) and sew together. 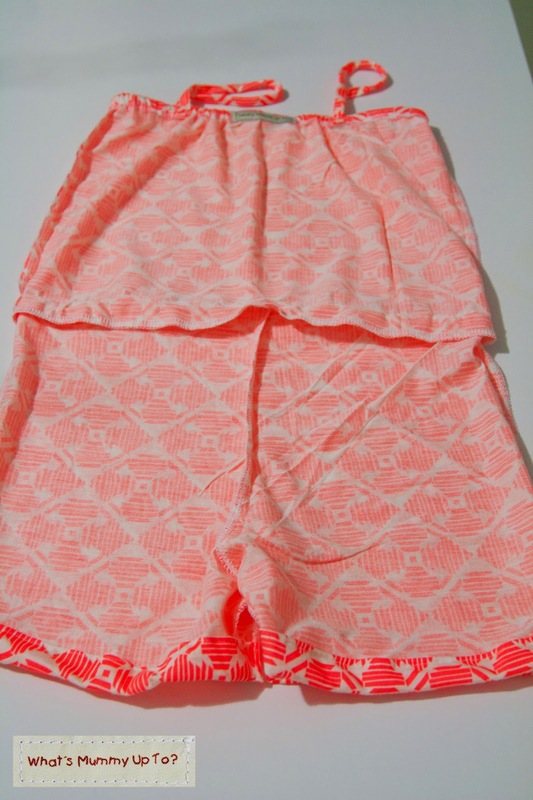 You can then hem the shorts to your desired length. I did 1/2" hems. Leave the waist-band unfinished for now! 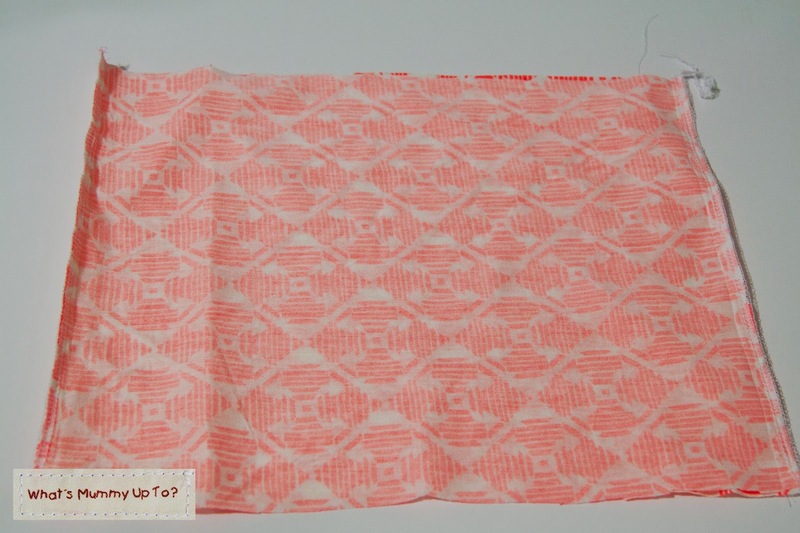 Oh, and if you're using a knit-fabric, there no need to overlock (serge) seams as knit fabrics don't fray, but personally I like the finish of an overlocked seam and overlocking is just plain fun, so I always finish my seams. I also think finishing the seams gives them a bit more strength, but it's up to you. 8. 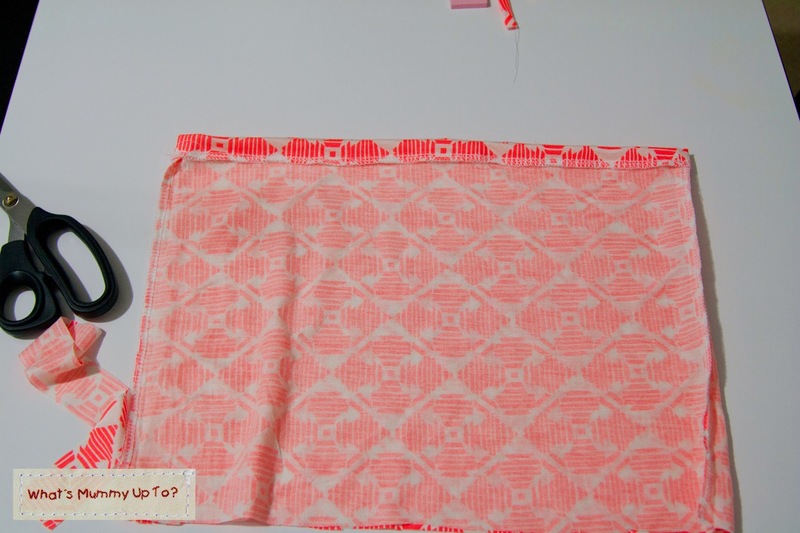 For the top, finish the raw edge (top edge), then fold down 1/2" from the top, and sew in place, leaving a 1/2" gap for threading the elastic. 9. 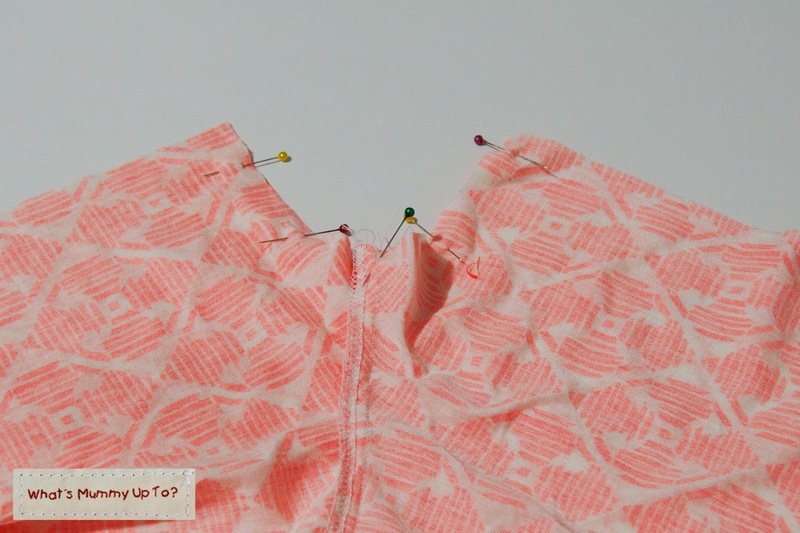 Using a safety-pin, thread your 1/4" elastic through, overlap the ends by 1/2" and use a zig-zag stitch to join the ends. 10. Take your straps and place them evenly spaced on the top edge, making sure both straps are even distances from the edge. 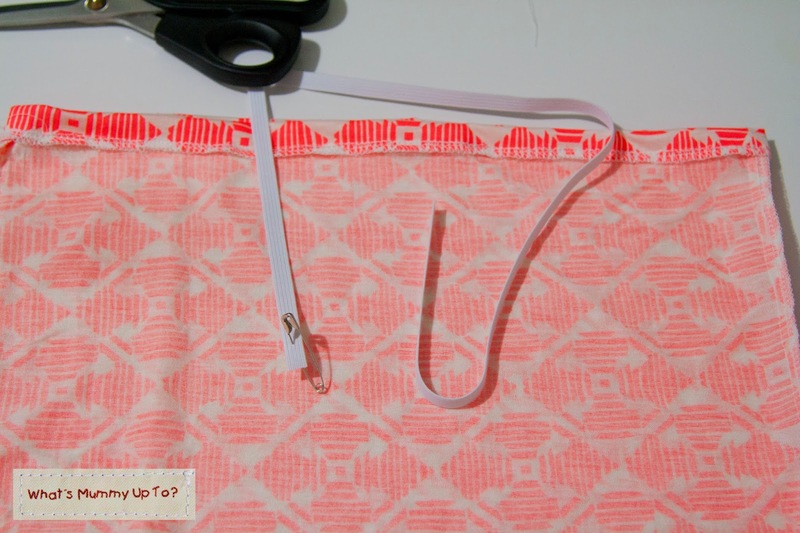 Attach with pins to the inside edge of the front and back like so. I found these are less likely to fall off your munchkin's shoulders if you put them closer towards the middle as pictured, even though it's tempting to put them further out. I placed the raw edge toward the top edge then ran the strap down for 1/2 inch before folding it back up onto itself, hiding the raw edge of the strap behind it like so. 11. Sew each strap in place like so. 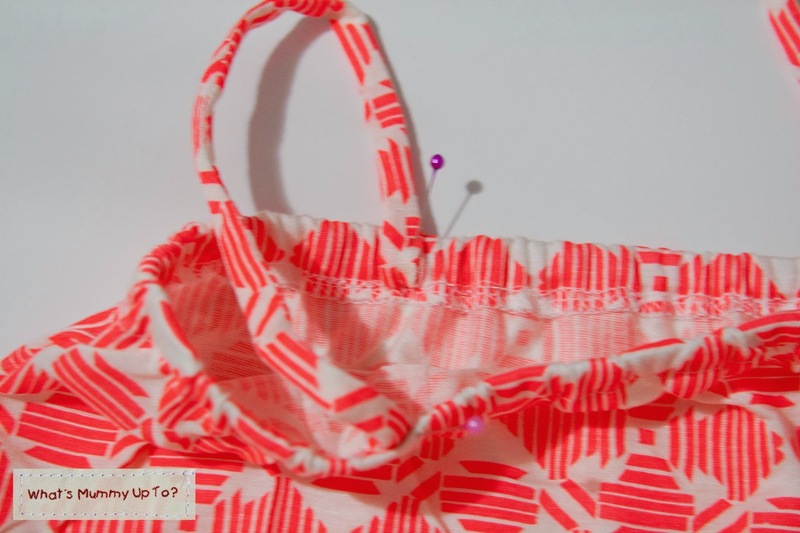 You might be able to see in the picture below that I attached it but sewing a small square shape, with a line diagonally across the square, then back-stitching to hold it firm, and thereby avoiding any wardrobe malfunctions mid-play. See the square-shape? Sorry the pic is so blurry! 12. 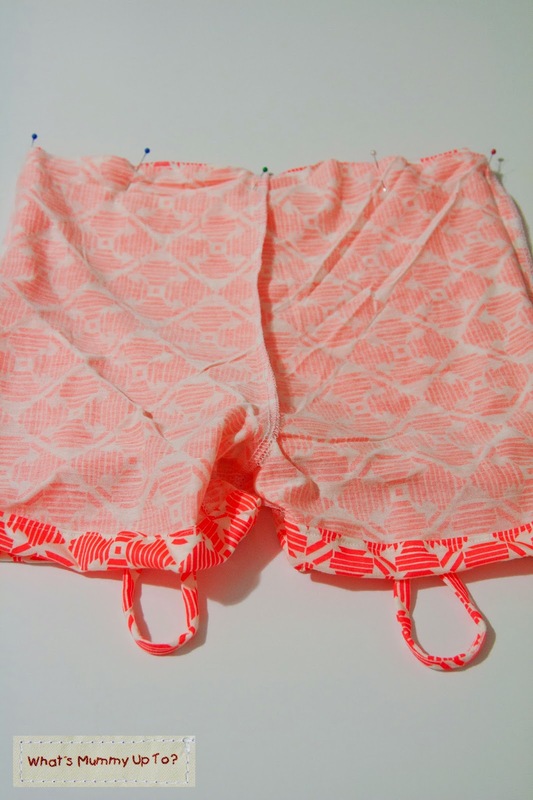 Now turn your shorts inside out, and insert your top section (right side out) into the shorts, so that the right-sides of the top and shorts are together. 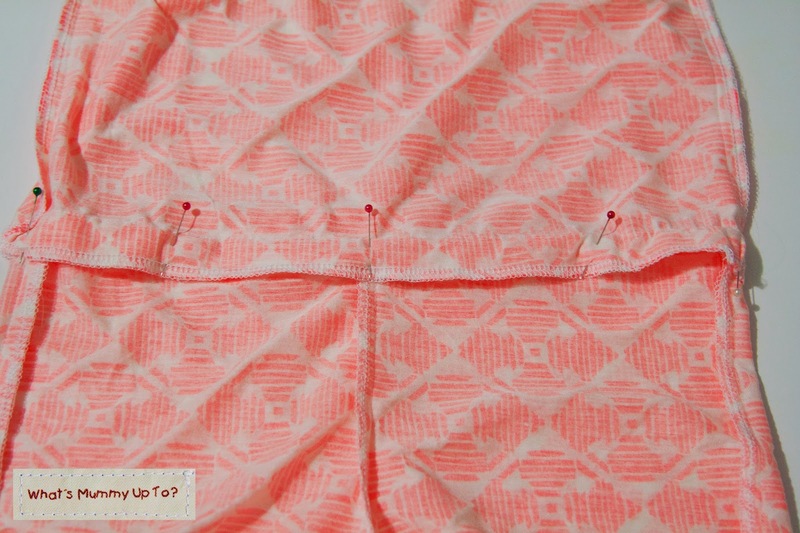 Pin the side seams of the top to the side-seams of the shorts, then pin all the way around like so. 13. 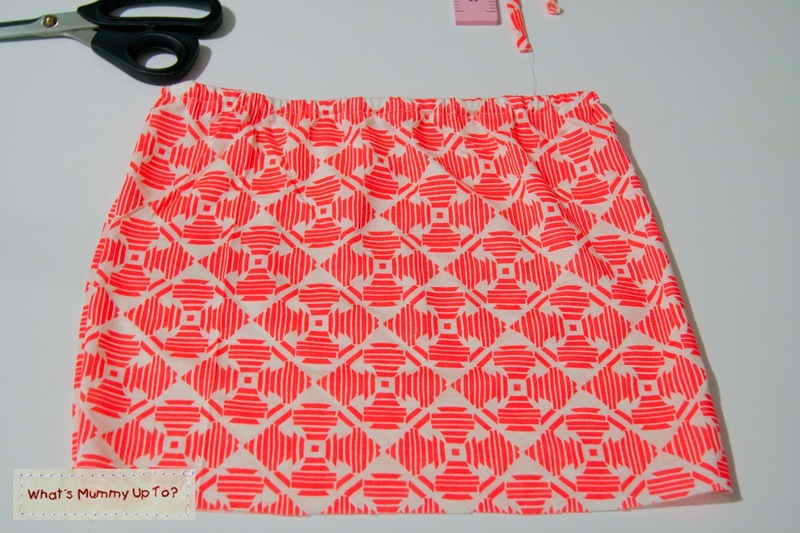 Next sew around the waistband, joining the top to the shorts, using a 1" seam allowance. 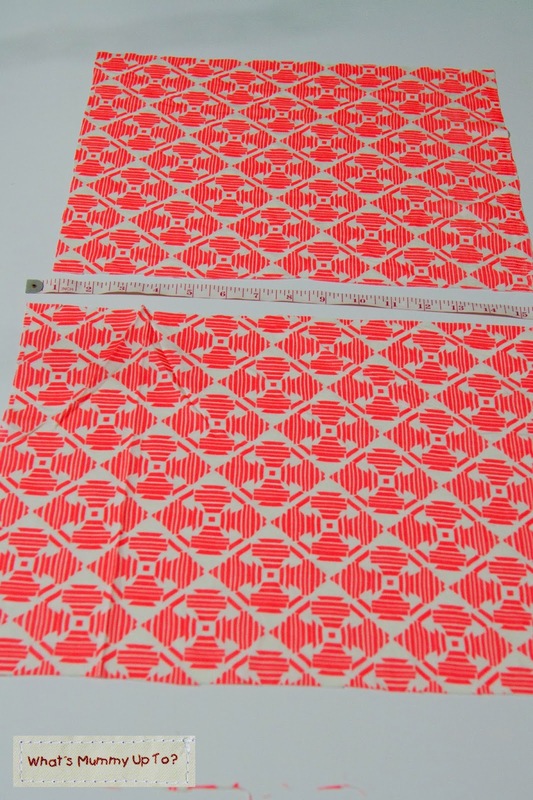 This is really important, as this will become our elastic casing for the waist band. 14. Pin the seam allowance (now our elastic casing) down towards the shorts, and sew around 1/4 inch from the raw / finished edge, leaving a 1"gap for threading the elastic. I like to start at a side-seam to keep it all looking neat. 15. 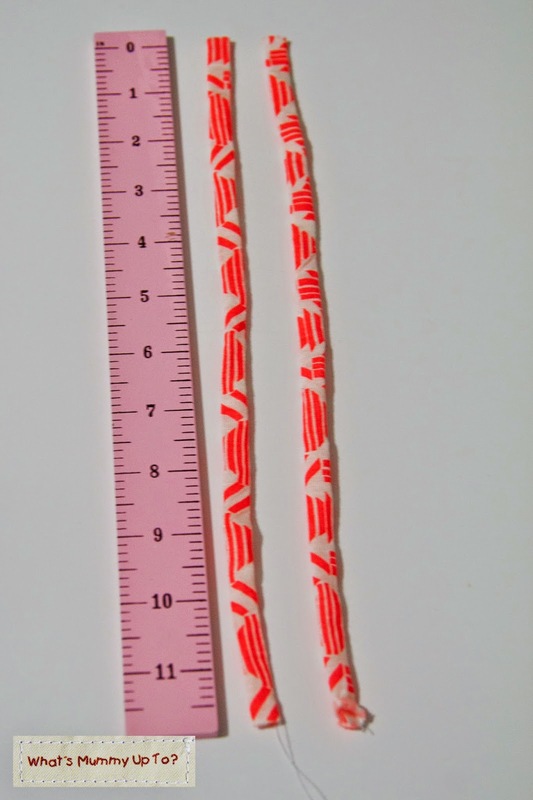 Thread your 1/2" elastic through using a safety-pin, then overlap the ends by 1/2" and sew together using a zig-zag stitch. And Bethany danced and danced! Anyway, I made this a couple of months ago, and she has had so much wear out of it. I think it's because it's just so comfortable and cool in the hot and humid weather we've been having this summer. 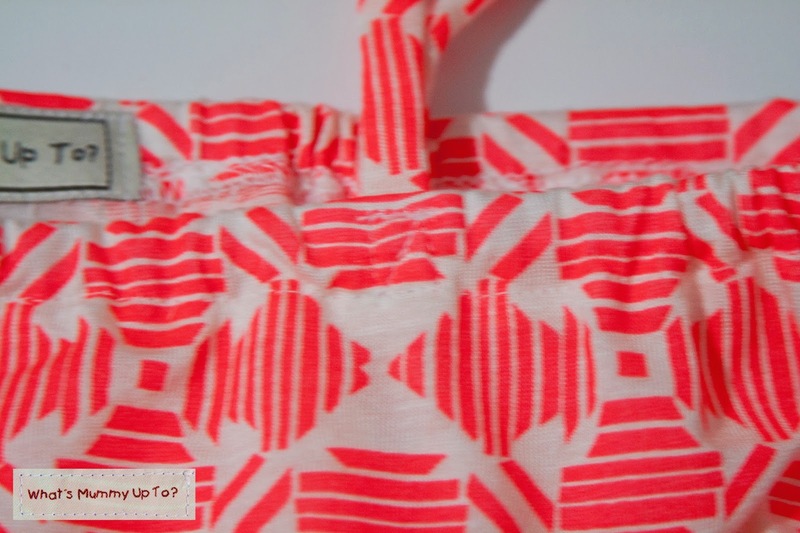 Oh, and do you know there was just enough of this gorgeous fabric left to make something special for her little sister too .... but that's a story for another day!! Thank you so much for this. My girl will love it. BTW, I' ve just disovered your blog and I'm looking forward to reading it. Thanks teta_vesna, and thanks for reading. I hope your girl like her jumpsuit as much as mine does! 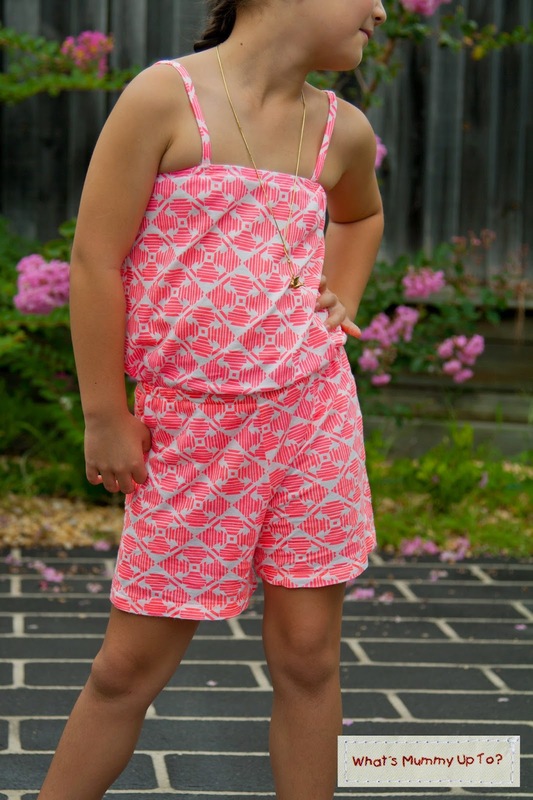 Yesss...the perfect tutorial I need for my kidushca's jumpsuit. Very elaborately explained. Thanks a bunch. 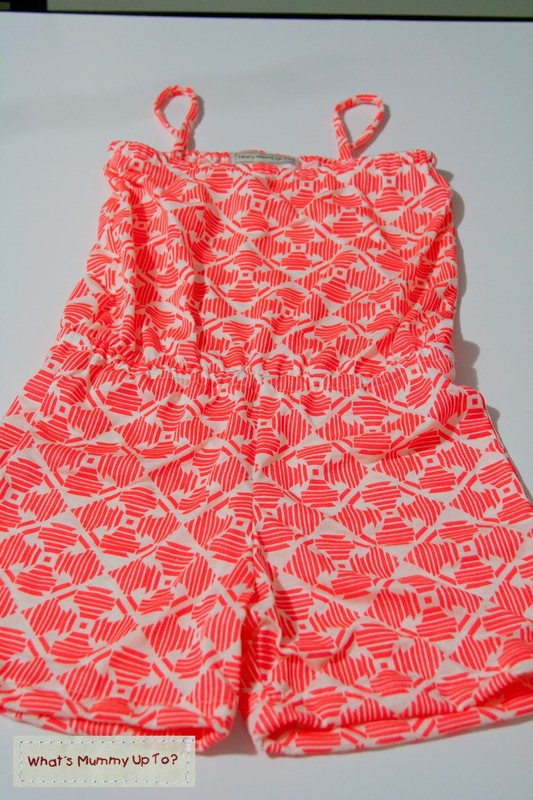 A fabulous tutorial, Wen and a great looking jumpsuit. It does look very comfortable, too. I haven't looked in Spotlight for stretch fabric, so I'm really pleased to hear that the selection has improved.